Account holders are part of a large network in Rotterdam: The down-to-earth inhabitants of the harbour city of Rotterdam are known for rolling up their sleeves and getting on with it. Dam’mers work together and help each other to create a better, more prosperous city. Free credit: A healthy system needs active traders and to encourage and facilitate trade, business accounts can be up to 500 Dam ‘in the red’ without paying any interest. Higher amounts are available upon request. Businesses are less dependent on the banks: The economic crisis was partly caused by banks investing our money in risky ventures and charging interest on loans. The Dam introduces an additional way of buying and selling, making people less dependent on the banks. Opportunity to convert excess capacity into increased turnover: Most businesses have excess capacity of some sort: unsold inventory or unused hours that are available to carry out additional assignments. 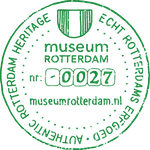 Investment in Rotterdam: The Dam is a local Rotterdam currency so it continues to circulate in the city. Together we are making the city stronger, livelier and more prosperous. In Dutch, Dam’s name stands for ‘The alternative currency’ and is also a reference to how dams and dikes work in the Netherlands. They are strong structures built to protect inhabitants from flooding and they were also the first bridges that connected two sides of the river, bringing people together and stimulating trade. 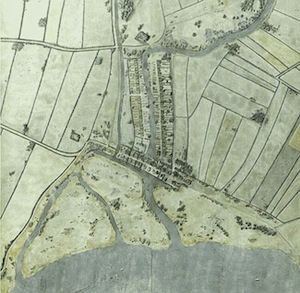 The city was founded when a dam was built on the Rotte – the 'Rotterdam' – in the 1260s, which was located at the present-day Hoogstraat ('High Street'). Dam is an online trading platform that provides enterprising Rotterdammers with a useful and durable alternative to the euro. "Dam’mers" extend interest-free credit to each other, so that they have more to spend on essentials for their businesses. The alternative currency creates more financial independence, turnover and prosperity. Dam is the signal that there is another way. Looking ahead, by 2018 the people of Rotterdam will be accustomed to using different currencies alongside one another. Dam is known as a stable method of payment, which prides itself on its transparency and is popular due to its system of granting interest-free credit. The alternative currency will be used by businesses and individuals for buying what they need: everything from the daily groceries and a beer in the pub to printed materials and the services of a book-keeper. The Dam platform is a "mutual credit clearing system". The following explanation is by Thomas Greco, who is regarded as one of the leading experts in monetary theory and history, credit clearing systems, complementary currencies and community economic development. A credit clearing system is an arrangement in which a group of traders, each of whom is both a buyer and a seller, agree to allocate to one another sufficient credit to facilitate their transactions among one another. The rest is merely bookkeeping. In such a system, the total amount of credit outstanding at any point in time can be thought of as the money supply within the system. That will be the sum of either the positive balances or the negative balances. These two sums of course must always be equal to one another. Note how the money supply fluctuates up and down as credit balances are spent and debit (negative) balances are reduced when sales are made by those who had a debit balance. The fact is that present-day banking is mainly a credit clearing process in which additions and subtractions are made to their customers’ balances. However, banks perpetuate the myth that money is a “thing” to be lent. If a client’s balance is allowed to be negative, the bank considers that to be a “loan” and will charge “interest” on it. Has the bank loaned anything? Not really. What they have done is allocate some of our collective credit to the “borrower”. For this they claim the right to charge interest. Any group of traders can organise to allocate their own collective credit among themselves interest-free. Done on a large enough scale that includes a sufficiently broad range of goods and services spanning all levels of the supply chain from retail, to wholesale, to manufacturing, to basic commodities, such mutual credit clearing systems can avoid the dysfunctions inherent in conventional money and banking and open the way to more harmonious and mutually beneficial trading relationships.